Children and young people of today seem to be less resilient and mentally healthy than they used to be a few years ago. Statistics reveal that one in ten aged 5 to 16 suffers some form of mental health problems. 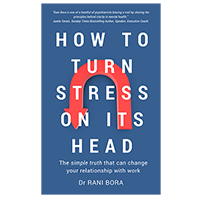 A year ago, I had self-published my book: “How To Turn Stress on Its Head – the simple truth that can change your relationship with work.” We chose to release the book on the 6th of October to mark #WorldMentalHealthday2017, the theme of which was “wellbeing at the workplace”. I have received much encouraging feedback from readers of the book from the UK and other parts of the world. This year #WorldMentalHealthday2018 falls on the 10th of October. The theme is “Young People and Mental Health in a changing world”. I want to share something that can have long-term implications for the health and well-being of our next generation, something that underpins my work with all young people. I’m a psychiatrist in private practice and a mental wellbeing coach. I take an educational approach when it comes to mental health and wellbeing. There are a lot of suggestions shared on social media about what needs to happen for young people’s mental health to improve and for them to be more resilient. Of course the government, policy makers, mental health services, health professionals, the general public, you and me, we all need to look at existing good practices and do the best we can to support people in emotional distress. Most importantly, we need to have open and honest conversations about what’s not working any longer at this time. We also need to consider how best to make changes at the grass-roots level focussing on preventative work. There is a need for radical change in our thinking about wellbeing and resilience. Let’s face it, many of us are concerned about the state of affairs and wish to see a reduction in mental-health crises in our young people. In our attempt to make positive changes, innocently and unintentionally we may be giving out the message that young people suffering from mental health issues are broken and need to be fixed. There are some prevailing myths about mental health. I have tried to list five common myths in an earlier blog post. It seems as if wellbeing comes and goes, that when a young person is profoundly distressed, wellbeing has gone away. What if true wellbeing is innate and constant? When I say our wellbeing is innate and constant, I’m referring to our true-self. Our true self is not broken and does not come and go. The true self gets hidden from our view sometimes by thick clouds, the clouds being part of the human weather and the human weather a part of the human condition itself. Bad things and unfortunate events do happen and young people will get hurt. But it is important to point out that even the most unfortunate circumstances from the past or evil deeds inflicted by other people do not have the power to scar a young person’s true self. What if we were to start pointing young people to this truth? My core message for this year’s World Mental Health Day is for us to look in a new direction of hope and possibilities. 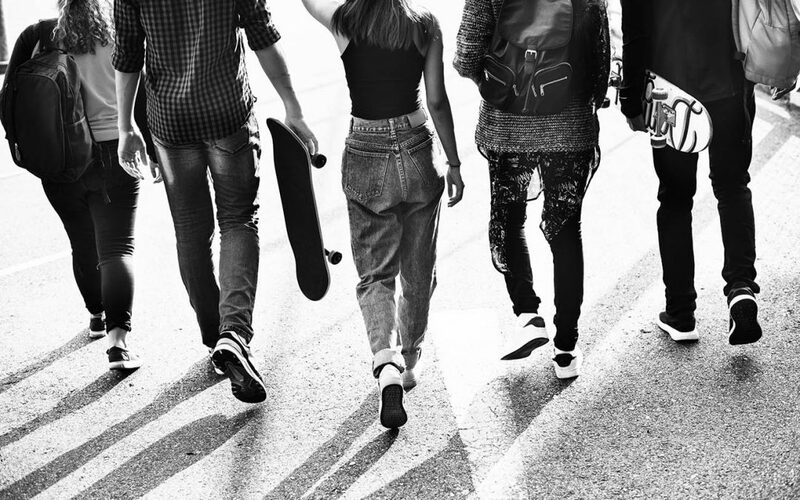 Rather than looking for quick fixes, let’s start looking at a long-term solution – a preventative, educational approach whereby we point young people back to their innate resilience and wellbeing. Instead of investing more time and energy firefighting and targeting symptoms of distress and challenging behaviours, we need to start focusing on understanding the common causes of mental turmoil, symptoms and challenging behaviours. – Trying hard to resist, fight, let-go of distressing thoughts and feelings. – Overthinking and analysing their life’s challenges, and seeking a solution desperately. – Believing their stressful and distressing thoughts as if they were the reality rather than their perception and experience of reality. – Feeling fearful and judging their experiences critically. – Implementing coping strategies relentlessly to fix their painful experiences. – Feeling they have to act on their critical and scary thoughts as these often seem very loud and overpowering. In addition to using the core skills I have learnt as a psychiatrist, I take time to educate young people about the workings of the mind. I explain that the mind projects our thoughts (whether visible to us or not) and makes them seem extremely real. Because we have an embodied physiological response to any thought/feeling we have in a particular moment, we forget that all our psychological experiences are temporary. My job as a well-being coach is to direct young people to their true-self, beyond their illness labels and sufferings. As I observe them get a glimpse of their true self and begin to understand how the mind works, their mental anguish and suffering start to diminish. Most young people report feeling “like myself” again. If you are interested and keen to engage in a new conversation about mental health and well-being in young people, join several inspiring speakers and me for the first conference of its kind “Resilient Young Minds” in Ivybridge, Plymouth on 22-23 November 2018. The event will also be broadcast live online. For more details and ticket booking – visit the event page here.